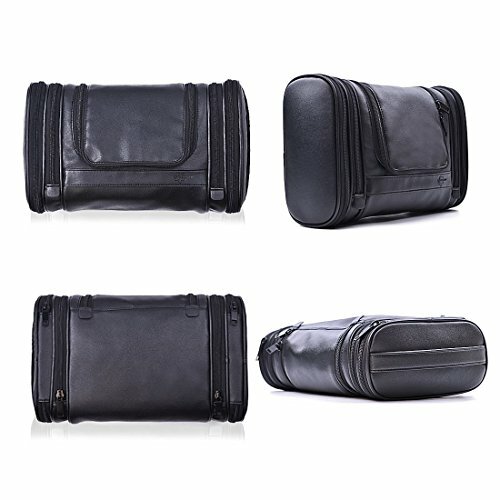 PU Leather exterior & Polyester Inner Durable PU Leather- waterproof,wipe-clean material, anti-bacterial inner lining. 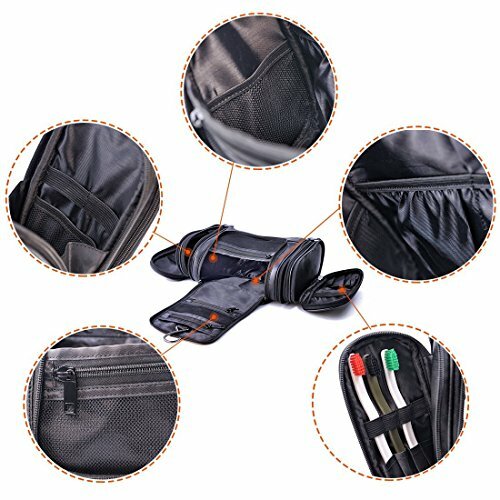 Both the polyester and low noise zipper are designed to be wear-resistant . 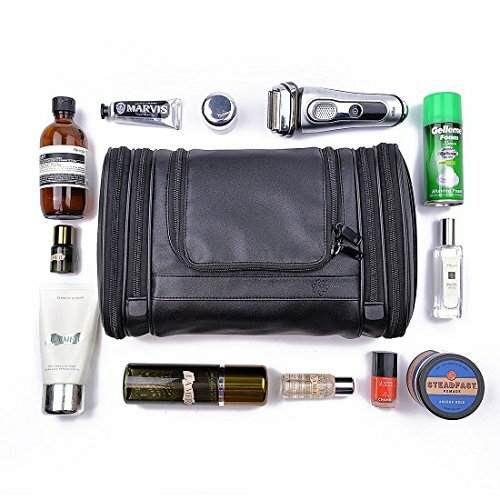 Big capacity design,can accommodate and organize digital products, cosmetics, jewellery, contact lenses (solution), body wash shampoo, soap, wet towel. 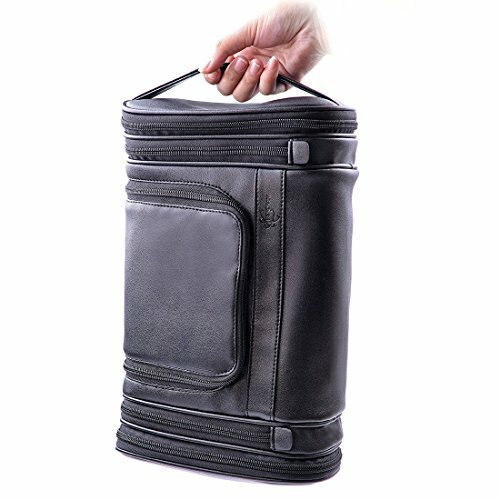 The bag can help protect from water and bacterial damage. 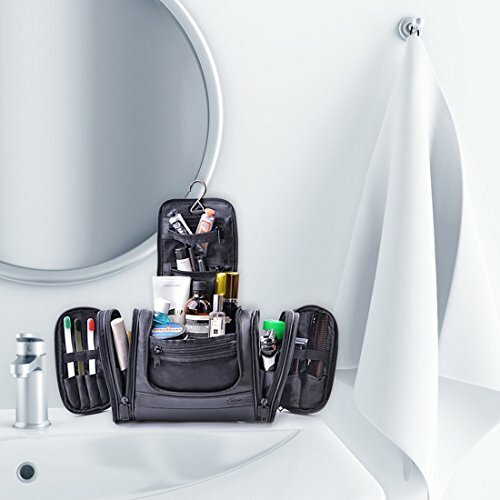 Keep things organized and accessible. 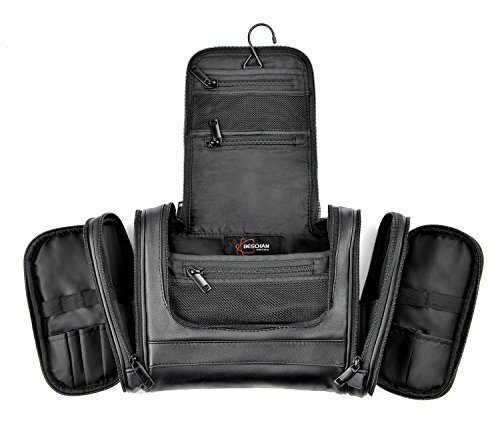 Variety of large and small meshed and zippered pockets.1 independent zippered compartment at each end. 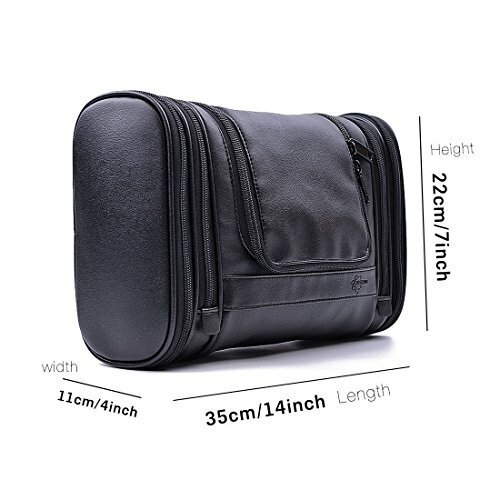 Whether travelling for business or pleasure, indoors or outdoors this attentively designed bag has a well thought out solution for nearly every item.